Launch the mobile browser and open the website or web page you want to pin to your home screen. Use https://nucleonica.com/?login to pin the login page for fast access (If you do not see the login page, clear the cache using Ctrl+F5). Tap the menu button and tap Add to homescreen. You’ll be able to enter a name for the shortcut and then Chrome will add it to your home screen. 1. 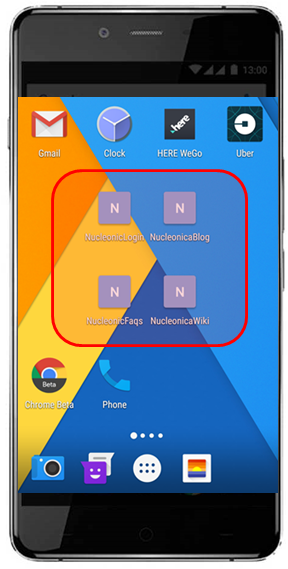 Nucleonica Login (click on this icon to get to the login page. Click again to enter the portal, assuming username and password have been saved).